ORANGE — Recent discussions between Orange-based Southern California Marine Association (SCMA) officials and representatives from the Chicago-based National Marine Manufacturers Association (NMMA) have led to a tentative agreement for a merger between the two boating trade organizations, with NMMA acquiring and managing current SCMA industry support activities and boat shows. The merger plan would require approval by a vote of the SCMA membership. 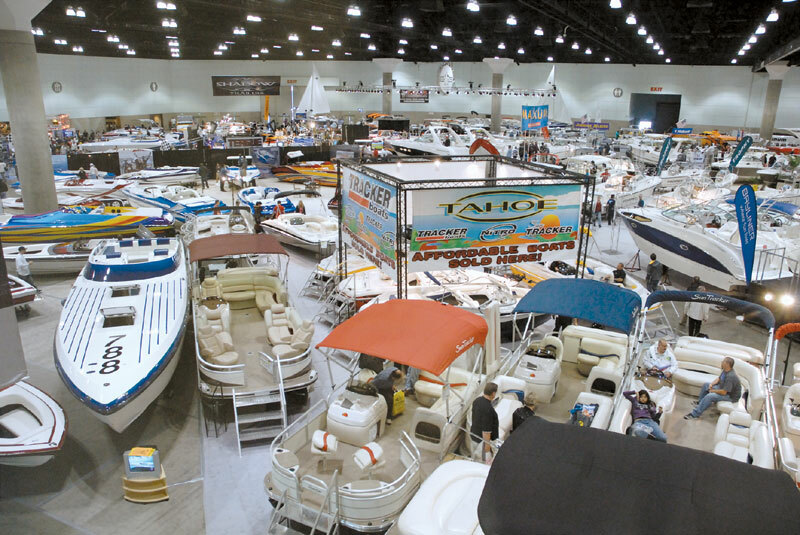 If all goes as planned, SCMA — a trade association that has produced boat shows and represented marine industry companies in Southern California since 1956 — would be dissolved as an independent organization, with NMMA taking control of SCMA’s five consumer boat shows in California. Sources close to the talks informed The Log Newspaper that NMMA president Thomas Dammrich met with SCMA’s Board of Directors following the Los Angeles Boat Show, along with other representatives of NMMA. According to sources, the board voted to give initial approval to an NMMA merger at a January meeting; a final decision has not yet been made. With the merger, activities such as local boat shows and regional lobbying efforts previously under SCMA control would get the benefits associated with a national show organizer — including additional event producing expertise, more resources for local government lobbying and participation in nationwide boater promotions such as “Grow Boating,” while maintaining a local presence, sources indicated. Before a merger can be finalized, it will require a vote by SCMA members at a general membership meeting. Current SCMA members would then vote approval or disapproval of the merger, with a majority vote needed to go forward with the agreement. Dammrich said that the two sides are having discussions, but he did not want to give details on the acquisition until approval was finalized. “We wouldn’t be in discussions with them if we didn’t think it (a new relationship) would be beneficial,” Dammrich said. He added that a final decision will be made within the next 60 days, along with a clarified description of SCMA’s and NMMA’s future roles. “We’re continuing with a 56-year-old company to produce goodwill for the industry, and help out where we can with legislative issues and producing our shows,” Geoffrey said. SCMA currently produces a number of boat shows, including MarinaFest in Marina del Rey, the Orange County Boat Show, the San Diego Yacht and Boat Show, the Long Beach Yacht and Boat Show and the Los Angeles Boat Show. Since 1956, SCMA has worked toward the promotion of boating in Southern California for the benefit of the marine industry, its members and the boating public. Over the years, SCMA has remained actively involved in legislative matters regarding recreational boating at the state and federal levels.